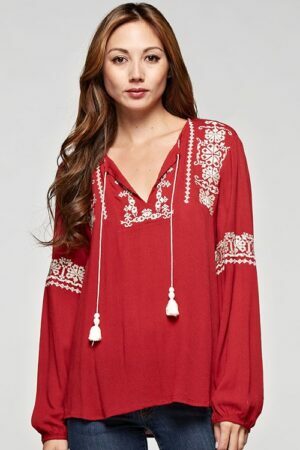 Beautiful embroidery tunic top with v neckline. Lightweight wear with rolled up sleeves. 100% Rayon blend with relaxed fit.